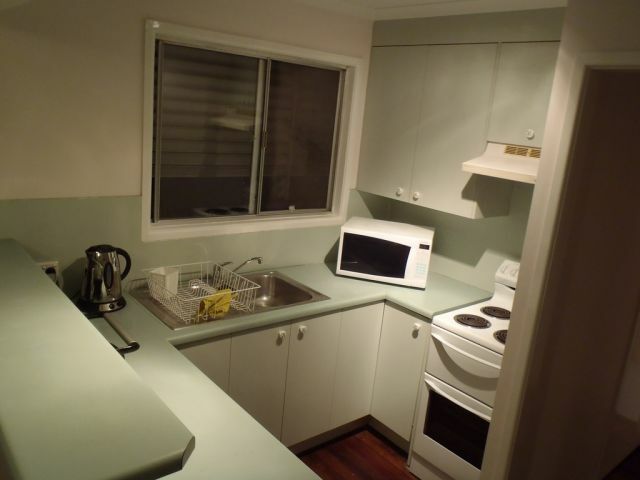 2 weeks bond, Room have Bed, Study Desk, Build-In Wardrobe and Ceiling Fan, Unlimited Wireless Internet (adsl2+) Electricity & Water Included, Double Storey House in quiet position, TV in living room, 1 Kitchen (2 Fridges, 2 Microwave, etc. 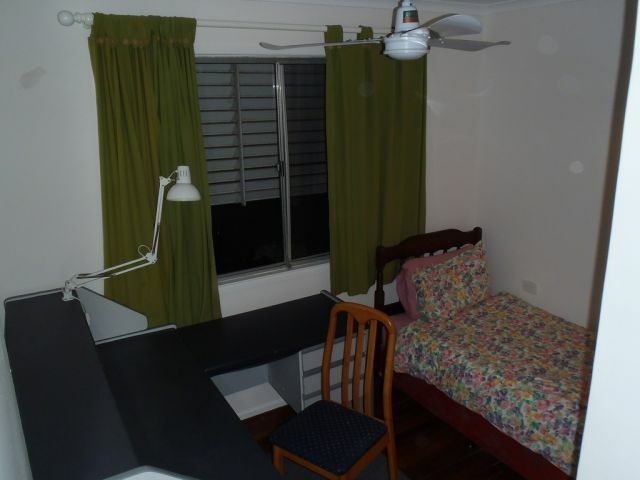 ), 1 Bathroom, 2 Toilets, Washing Machine, Ironing board, 10mn to Sunnybank Train Station, 2mn to 123 bus stop (#69) going to Griffith Uni Nathan, Sunnybank Plaza, or Garden City, short walk to PineLand supermarket. Non smoker. Must be quiet, clean, tidy, responsible and considerate to others. Not a party house but social time welcome. Garage With Remote for 5 dollar a week extra. Call or email me. :-) Denis.